Jutta Brunnée teaches International Law for the Master of Global Affairs at the Munk School of Global Affairs and Public Policy. 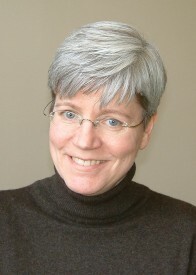 She joined the Faculty of Law as Professor of Law in 2000, and holds the Metcalf Chair in Environmental Law. She holds law degrees from both Dalhousie University and Johannes Gutenberg-Universität, Germany, and an undergraduate diploma from the Université de Dijon, France. Prior to her appointment at the Faculty of Law, she taught at the law schools of the University of British Columbia and McGill University. During that time, she served for a year as Scholar-in-Residence at the Oceans, Environmental and Economic Law Division of the Canadian Department of Foreign Affairs and International Trade, advising on matters such as the Biodiversity and Climate Change Conventions. She has also participated in numerous Canadian and international initiatives related to environmental issues. Professor Brunnée’s teaching and research interests are in the areas of international law and international environmental law. She has recently written on international law and international relations theory, compliance with international law, the use of force, the domestic application of international law, multilateral environmental agreements, and international environmental liability regimes.